Two Offices to Serve You Better! The Edmonton office of Accu-Search Inc. is located on the 2nd level of Edmonton City Centre Shopping Centre (East side). Our Calgary office location on Memorial Drive SE is conveniently accessible from central Calgary and the Trans-Canada Hwy. Accu-Search believes in community involvement. 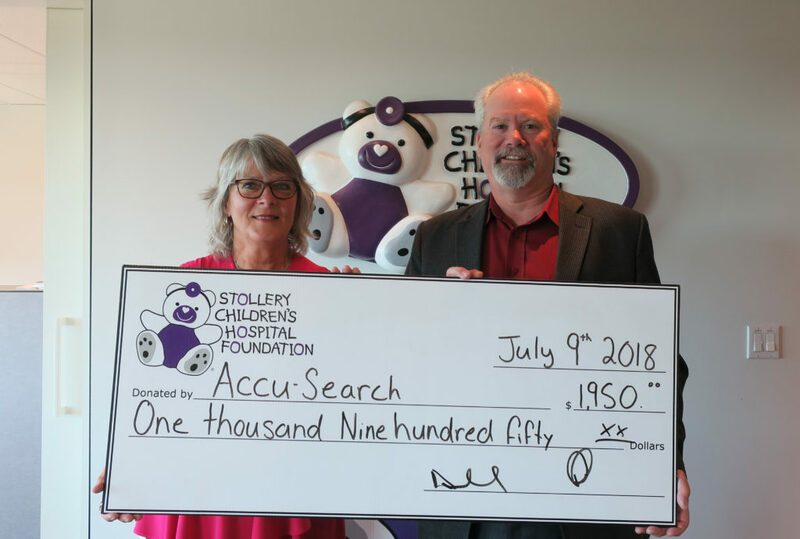 We support the Stollery Children's Hospital Foundation through our Casual Friday Staff Donation Fund, which is matched with company donations. We also support the Edmonton and Calgary Food Bank. We are proud to be a part of government initiatives such as the Homeless ID project.